When I was in Albuquerque for the WMA Showcase and Awards Show last November I had the pleasure of meeting Terry Brown! That’s what makes that event so much fun…seeing old friends and making new ones! I was thrilled a few days ago when I received Terry’s new CD, “It’s A Cowboy Thang” in the mail! I love Terry’s voice and when he’s singing his own songs it’s even nicer. Terry wrote (many of them with his wife Hilda Machado-Brown) all the songs but one and you’ll love every one of them. From “Ride Cowboy Ride” to “Friends” you will be truly entertained. In between you get to hear “It’s A Cowboy Thang,” “Another Bronc To Ride,” “Long Trail Home,” “Hurry Sundown” (Hugh Edward Thomasson Jr.), “Follow Your Heart,” “The Legend Of Silver Mountain,” “Life Is Just A Crapshoot” and “Cowgirls Make The Rules.” I was going to mention which one I like best…but I can’t decide! They’re all good! Terry Brown is joined on “It’s A Cowboy Thang” by musicians Brian Pruitt on drums & percussion; Mike Brignardello on bass; Billy Panda on acoustic guitar; JT Kornfloss on electric guitar and Larry Franklin on fiddle. 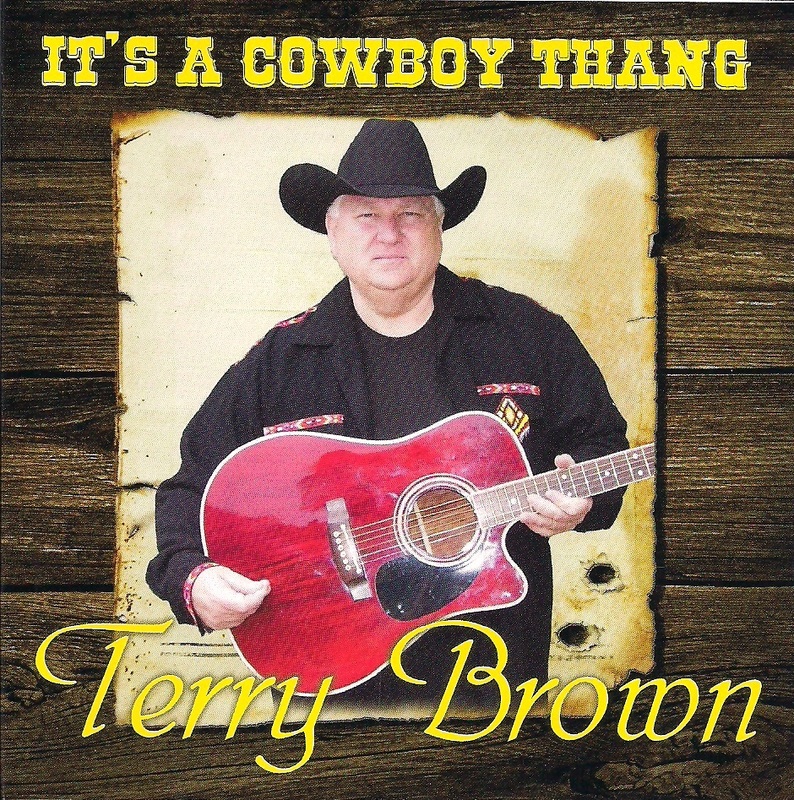 For more information about Terry Brown or to order your own copy of “It’s A Cowboy Thang,” log onto TerryBrownMusic.com. I have gone to Terry Brown Music to purchase but, to no avail, would like to obtain “Its a cowboy thang” and party on the prairie CDS, would you please be able to give me any leads as where else they could be purchased. I found both CDs on http://www.cdbaby.com. I know you will enjoy them, they are great CDs! Thanks for asking. I love Western Music, both Cowboy Music and Western Swing AND Cowboy Poetry. To help keep this music and poetry alive, I host a 2 hour, weekly radio show - "The Real West from the Old West" - on AM 1230 KOTS in Deming, NM. That radio show and this blog are my contribution to the genre! I hope you enjoy both! CowboyPoetry.com is now on Facebook! "The Real West from the Old West"